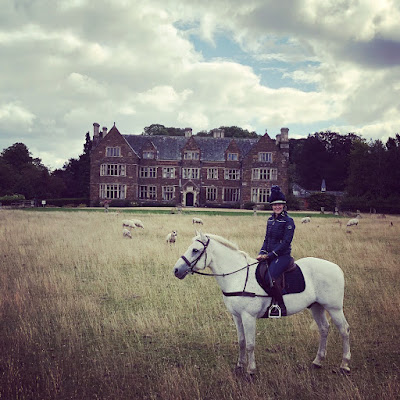 I am a hat girl, I love them and during the winter months I am seldom seen without a bobble hat to keep cosy and warm, a cap to hide my dreadful riding hat hair or a beautiful Hicks and Brown Fedora when best dressed. I purchased my first in April '17 ready for a wet day at Aintree Racecourse on The Grand National Thursday, saving my dress and fancy fascinator for Friday's Ladies Day! The weather was true to the forecast and unkind, my Hicks and Brown Fedora kept the rain away from my face, my hair reasonably in place and coped well against the elements, drying out as good as new. Proof the felt wool hats are water resistant. Since then my collection has grown and a Hicks and Brown Fedora would be an asset to any country chic wardrobe. - Hicks and Brown provide an excellent size guide on their website - in cm's - click on a hat and look to the right. Since the launch of CiCi by Celeris, luxury luggage is no longer exclusive to the frequent flyers and first class jet setters. The range of elegant, yet functional equestrian Hat and Boot Bags complement their beautiful boots perfectly. For my birthday in July I was lucky enough to receive a Hat Bag in the classic colour of Military Green. 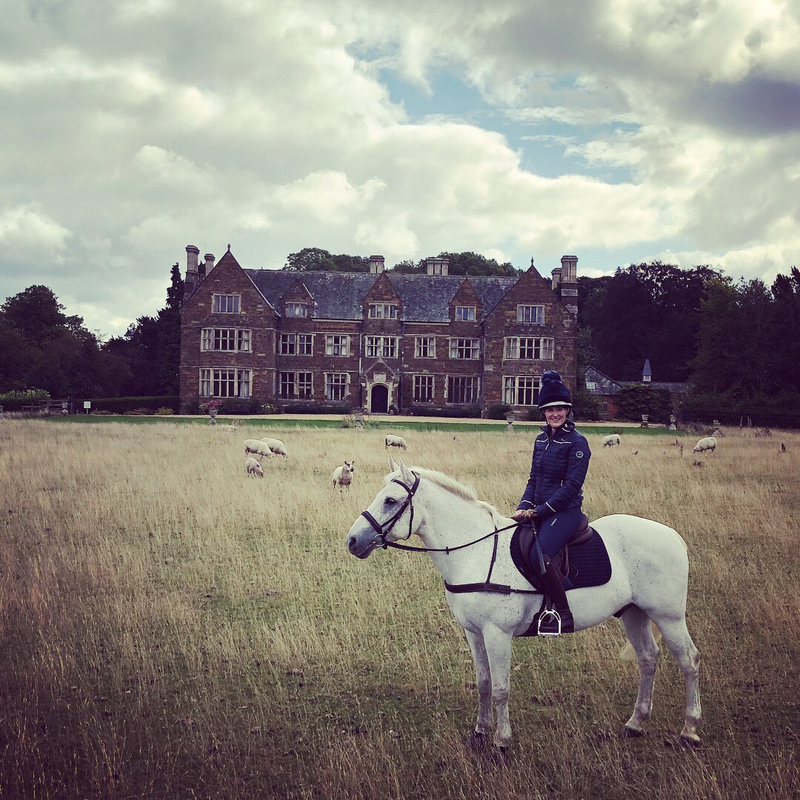 Handmade in Portugal alongside their bespoke boots, it feels very special and I couldn't wait to place the "posh riding hat" I featured in June on Gee Gee and Me safely inside it. 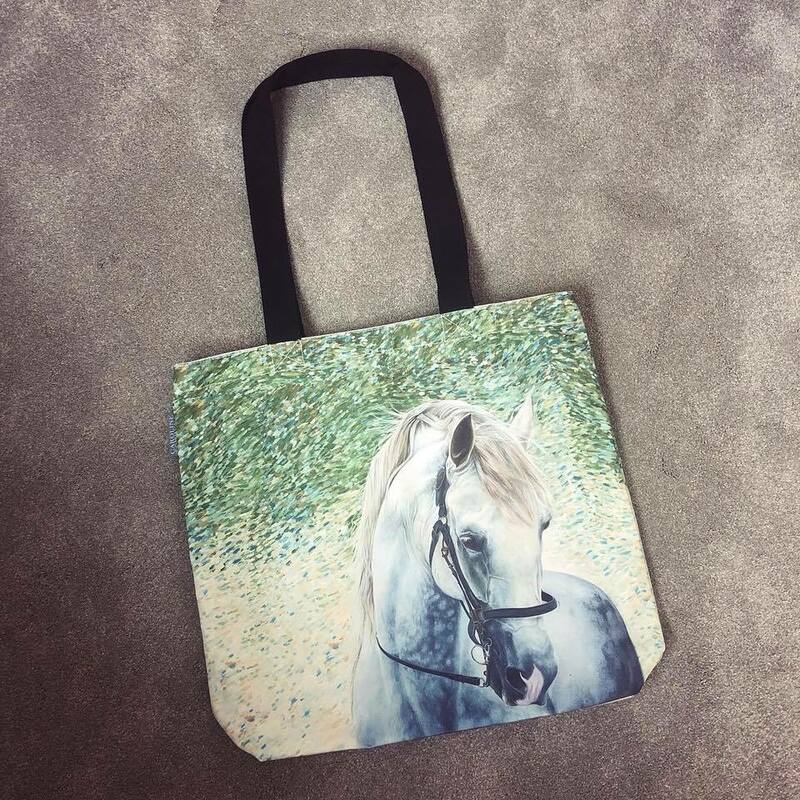 The Hat Bag is well padded, with CiCi and the Celeris horse embroidered in luxe gold thread to the front. An inside pocket is the perfect place to keep a mirror for those final pre-competition checks - straight stock and hairnet well hidden, tick, tick. My gloves have often been found tucked in there too. Finished with a superior gold zip and a short strap for ease of carrying, it is total perfection - priced £20/£35. 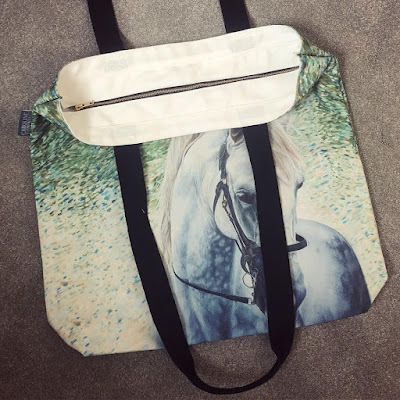 Now onto the luxury Boot Bags, these are equal quality to the Hat Bags and the perfect home for your beautiful, made to measure boots by Celeris. With my growing collection of bespoke boots, I think its about time I invested in one. They're available in 10 stylish colours and would make the perfect present this Christmas- priced £65. Last years Dear Santa Series went down a storm and as a little reminder, I've posted the links to the products I featured below. The Hauke Schmidt Arabella Riding Gloves stole the show and I love that so many of your now ride in these. I am proud to say mine are still fabulous 16 months on. I have prepared three gorgeous posts that will feature on Gee Gee and Me throughout December...happy shopping! 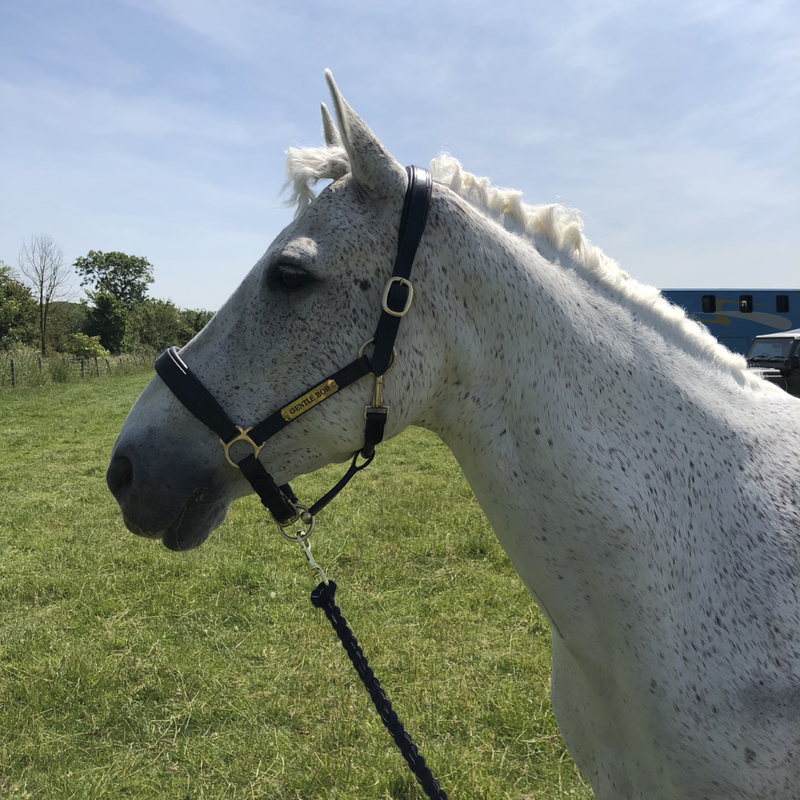 A delivery from Botanica International was perfectly timed in October because it coincided with the arrival of Arnold, a 3 year old Connemara pony and the newest addition to our family. 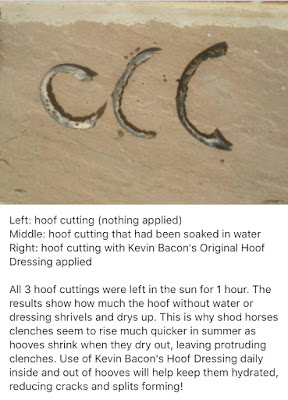 Coming from a large herd in Ireland, he had a chewed forelock, the odd bite and a very stubbly tail. Knowing Botanica International is a brand renowned for natural goodness and healing, I couldn't wait to show Arnold some TLC. 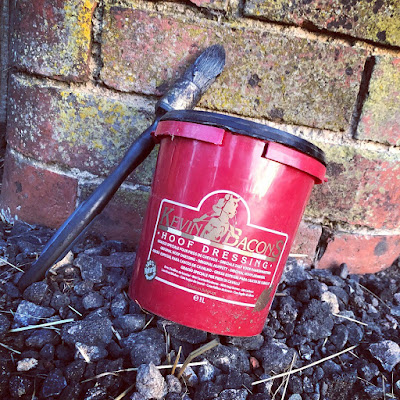 As the steam rose from the bucket, the yard was filled with the most beautiful aroma; lavender, tea tree, aloe-vera and comfrey. I dipped my sponge in the liquid, rung it out and smoothed it over Arnold's coat. Paying close attention to any bites or scabs with confidence knowing the Cleansing Wash can be used on broken skin safely, without it needing to be washed off. I finished by washing Arnold's tail. This has been our weekly routine and Arnold has lost most of his scabs, new hair is growing and he looks wonderful in his coat, his tail is recovering too. Left - when Arnold arrived, apologies the pictures are a little dark. Right - four weeks later. 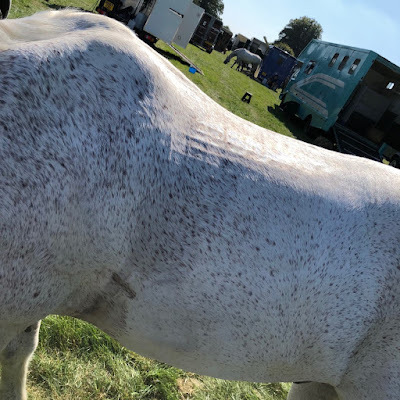 I loved the product so much I have started to use it as my hot cloth tipple after clipping Oscar too, its effective in the battle against scurf and his coat looks great. I too go home with soft, clean hands that smell less like a yard and more like a spa. The Cleansing Wash is available in various sizes, starting at 300ml for £10.95. Thank you to Botanica International for sending this product to me and giving me the time needed to properly put it through its paces. The Madrisa Fleece is available in three gorgeous colours; black, blackcurrant and ice blue. 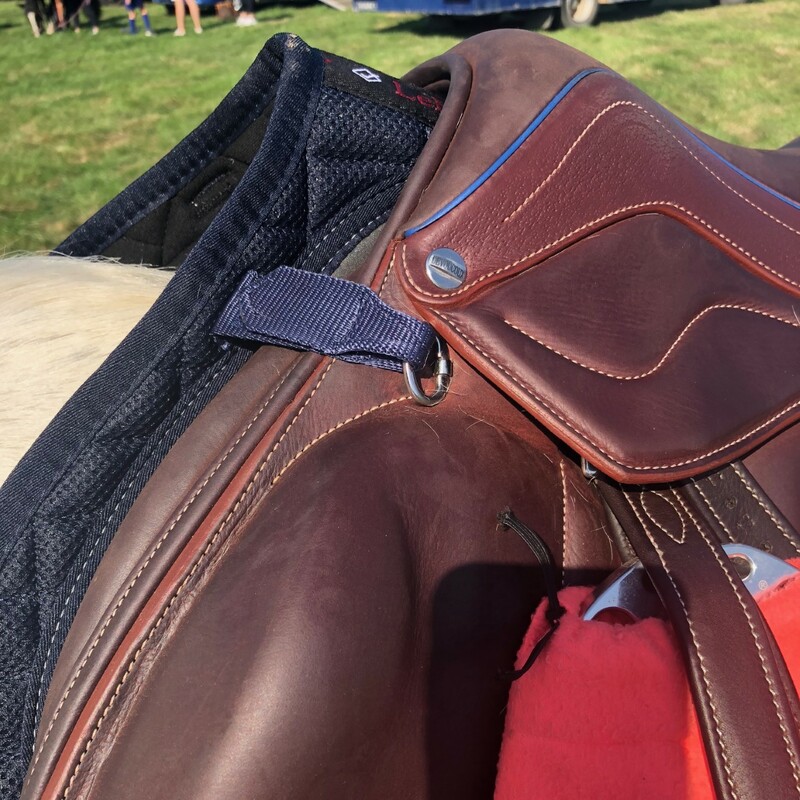 LeMieux take 'matchy' seriously and both the blackcurrant and ice blue are a perfect colour match to their autumn/winter range of horse and rider wear. The Madrisa Fleece is a modern day, performance fleece with a super soft micro-fleece lining. It feels great on your skin and absorbs sweat keeping you dry and comfortable. Available in sizes XS-L - I am a size 8/10 and wear a small. 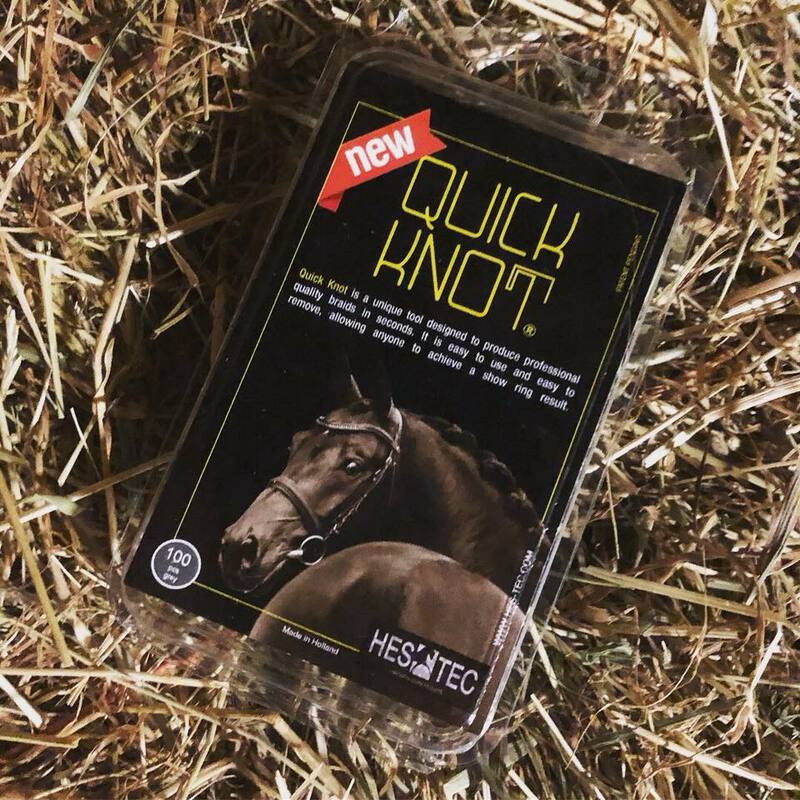 The fit is slim and flattering, and the smooth four way stretch fabric gives full freedom of movement, whether you're lunging, riding or doing yard chores. From the outside, you'd be forgiven for not realising the Madrisa is a actually a fleece. 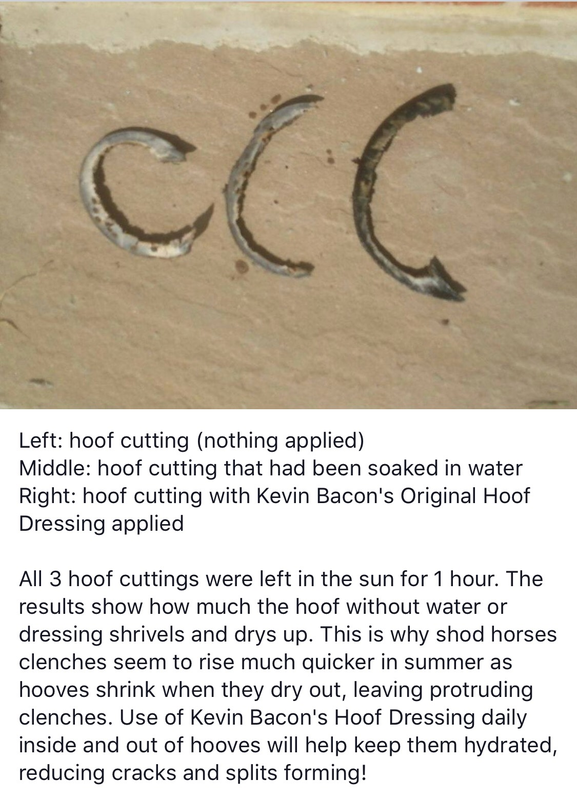 The smooth outer shell is wind (hay, straw and shaving) repellent, I've also worn it clipping and the hair easily brushes off! And finally...the attention to detail. From the contrast of the grey stitching to the smart silver LeMieux logos on the front, back and right arm of the fleece. The band around the waistline to keep the warmth in and the perfect front zip for when you get too hot. As always, it has been designed for equestrians, by equestrians, which is why I love LeMieux. Click here to select find your stockist. I grew up wearing a blouson style equestrian jacket to the horses and I always have one lurking in the depths of my car boot. Why...? Because they're the most practical jacket you will find. Rydale have recently updated the design of their best-seller to create the perfect one, so it's out with the old and in with the new! 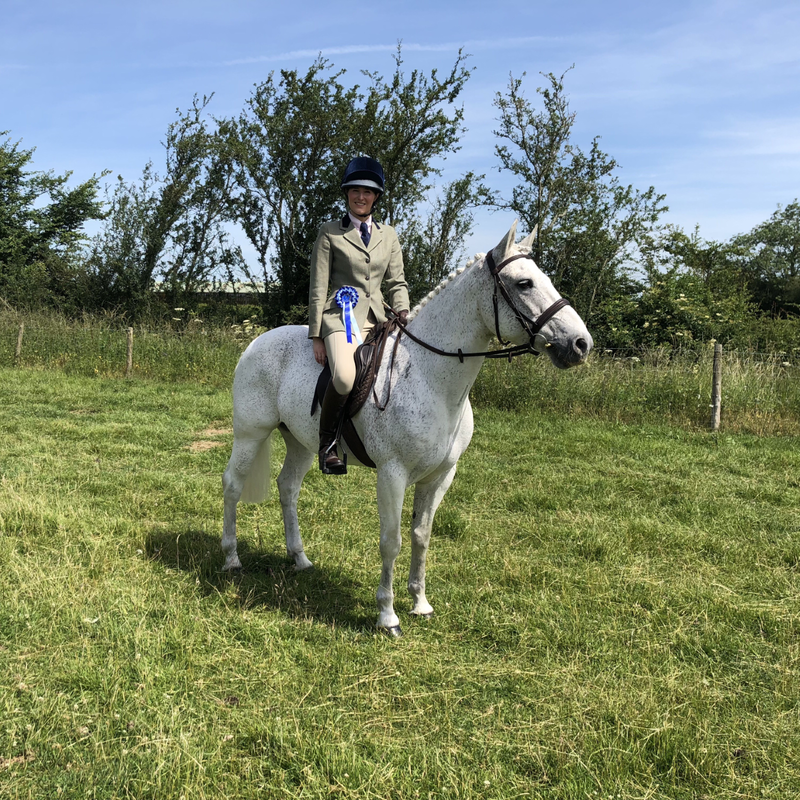 The Rydale Ripon III Equestrian Jacket is the perfect blouson shape, pulled in at the bottom by an elastic waist for a snug, high fit that doesn't get in the way. The fabric is waterproof with a hood secretly concealed within the collar for the wet weather days. The jacket is lined with soft fleece for warmth and comfort, without being heavy or bulky, so you can layer up/down as appropriate. Available in sizes 8-18, I wear a size small. Then there is the attention to detail. The Ripon III Jacket is available in seven smart and practical colours, something to suit every personality - being 'Safe Sally' one of my nicknames I am less fond of, I chose navy. It has two outer pockets that have tabs of fabric over them to avoid things falling out if you fail to zip them closed and a zipped inside pocket too. The front and outer pocket zips and poppers are chrome or gold - gold for navy - with contrasting embroidery and a faux-leather arm patch for a stylish finish. 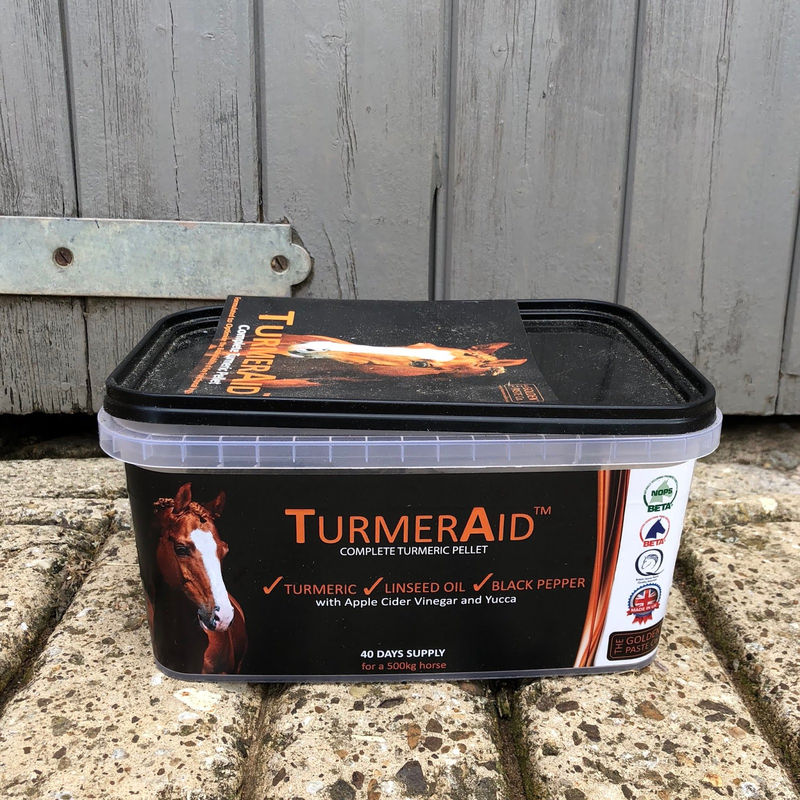 The inside has a galloping horse ribbon for decoration and the packaging it arrived in felt high end and luxurious, wrapped in Rydale tissue and beautifully presented. Hard to believe it costs just £45! Connermara ponies...I'll take them all please. Early October and I have already scraped the frost from my car windscreen of a morning...but I am not complaining. Cold, crisp, autumnal days with bright blue clear skies are my favourite. They have also given me the perfect opportunity to put my new Zerofit Base Layers through their paces that were kindly sent to me in September. "to provide ultimate warmth but allow the wearer freedom of movement to carry out their favourite outdoor activity"
Zerofit Heat Rub Ultimate (grey): as it says, this really is the ultimate base layer. It provides protection against extreme cold by sealing in body heat. The unique fibres on the inside of the base layer rub against the skin as you move, creating frictional heat. The material feels soft, cosy and instantly warm against my skin, it almost looks like wool, without the itchiness of it. 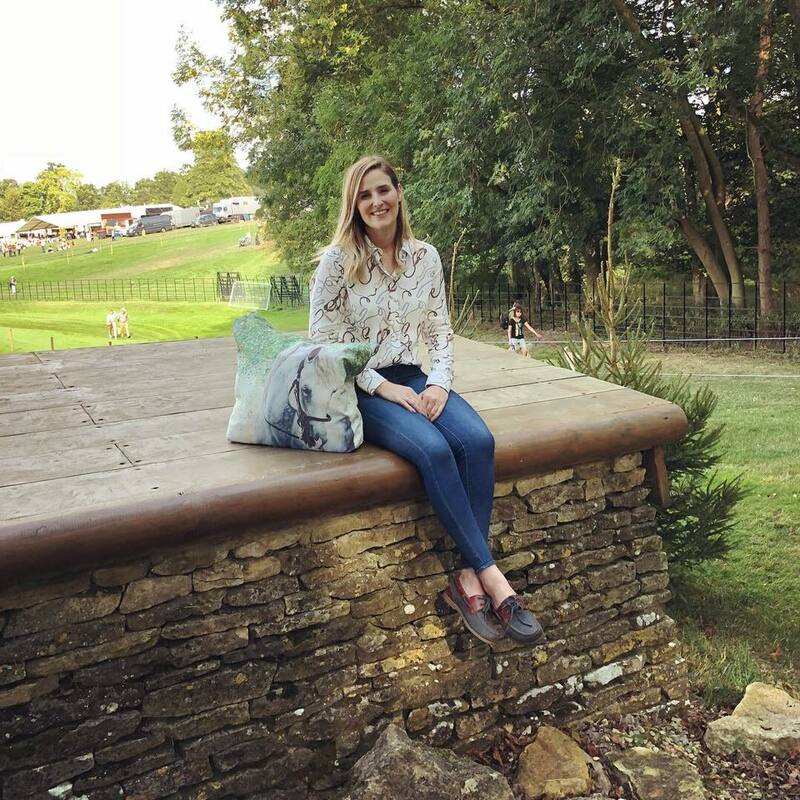 The outer fabric is slim fitting and flattering, long enough to tuck into my breeches - and stay there. I slightly underestimated the Heat Rub Ultimate when first wearing it. I saw the frost on my car windscreen and reached for it one morning, underneath a gilet and a coat. I was almost sweating after getting the horses in from the field and tacking up, to ride I had to take off my coat. All around me thought I was mad, or coming down with a cold. I can assure you, I was neither "its the base layer!" I promised! The warmth is comparable to a coat and twice as toasty as your average jumper. The unique 'LABO' fabric quickly removes sweat away from the skin and places it on the outer shell of the base layer where it dries ultra fast. A thinner base layer than the Ultimate this is made for movement and has zero bulk. Again I wear a size small and on a recent trip to Ireland, where it was cold and drizzly I wore it whilst viewing horses and stayed comfortable all day long. At £50 the price at first glance is more than I would typically pay for a base layer, but after recently wearing both the Heat Rub Ultimate and Move I can confirm they're worth every penny. 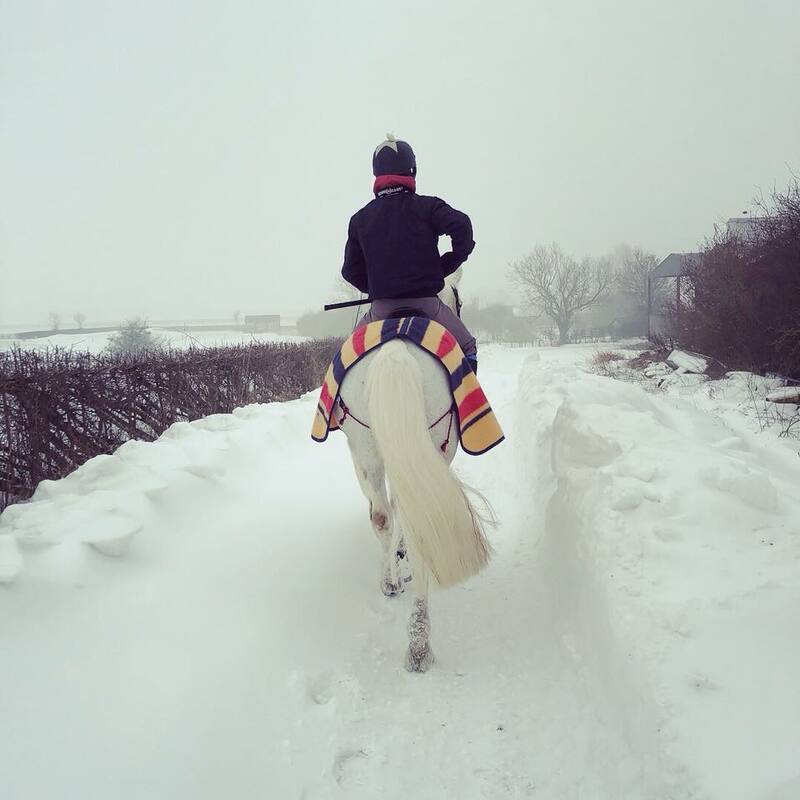 Whether you ride, run, work outside or simply enjoy being outside whatever the weather I recommend them and guarantee I'll live in mine over winter. The memories of summer 2016 are clear in my mind. Oscar wasn't right and everyone thought I was going crazy, seeing something that wasn't there. 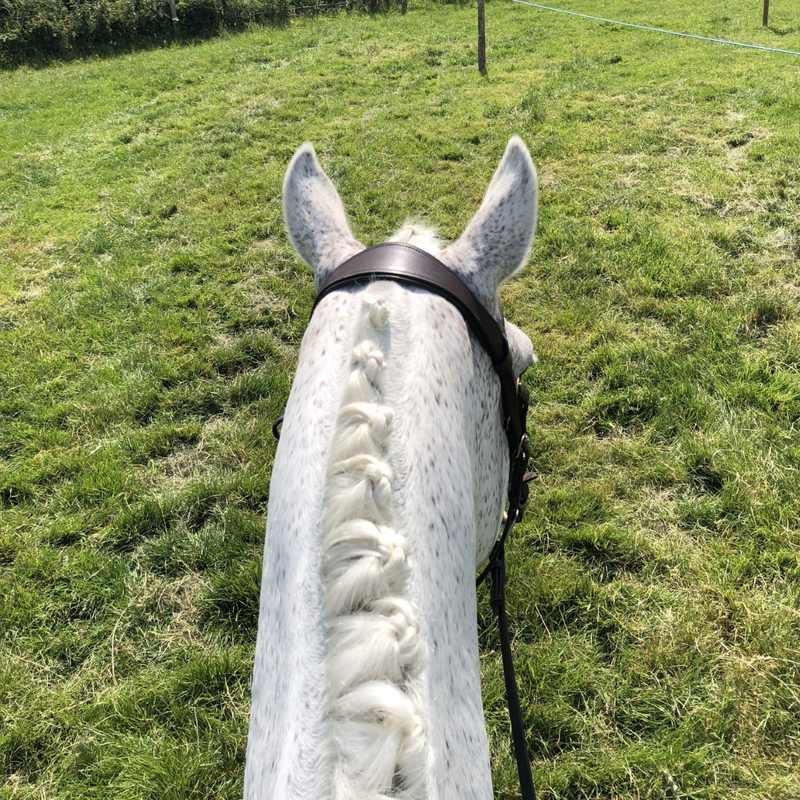 But I was certain I saw the occasional pottery stride in the field and XC schooling one day Oscar went from being a machine to the refusal of a jump. Time to visit the vet. Thankfully we are only a short drive from Oakham Veterinary Hospital where Oscar had x-rays to MRI scans and was given the diagnosis of degenerative joint disease...aka arthritis in just one of his front pasterns. 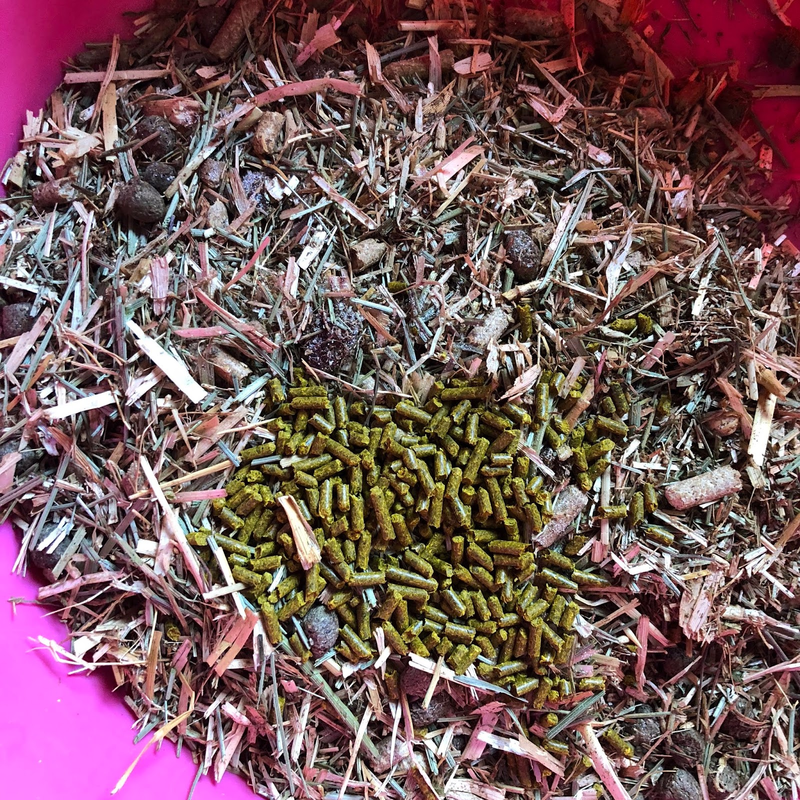 The option of repeatedly injecting the joint was given to me, with a warning of steroid induced laminitis or long term management of the inflammation in the joint. I opted for the latter and have had a huge overhaul of our lifestyle. Our XC days might be over, with the exception of jumping a fallen down tree or log out hacking. 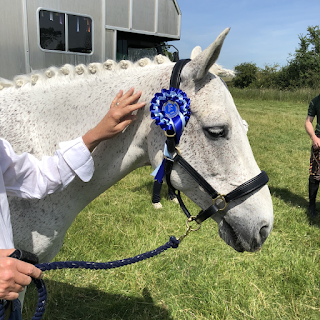 But we enjoy dressage training and low level competitions, local showing classes - ground dependant - and lots of hacking to keep fit, walking up hills with zero trotting on the road or uneven surfaces and lots of cantering at a controlled pace when the conditions are right. I must say Oscar is feeling fabulous two years on and I never take a single ride for granted. Part of Oakham's recommendation was a joint supplement that Oscar continues to this day, but the drought like conditions the summer left me wanting more this year. The benefits of turmeric are hard to ignore; claiming to reduce pain, inflammation and stiffness relating to rheumatoid arthritis and osteoarthritis in both humans and animals, but had been put off by the idea of a home made mix that would leave me with orange stained fingers. Often visiting the yard in my work clothes - yes, guilty as charged - I didn't need any more hazards than there already are to not arrive in the office clean, tidy and hay-free. 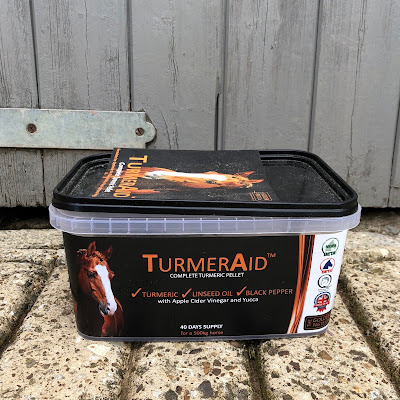 Shortly after I walked past a new delivery of TurmerAid by The Golden Paste Co. in my local feed store and I purchased my first 2kg tub for £18.99. 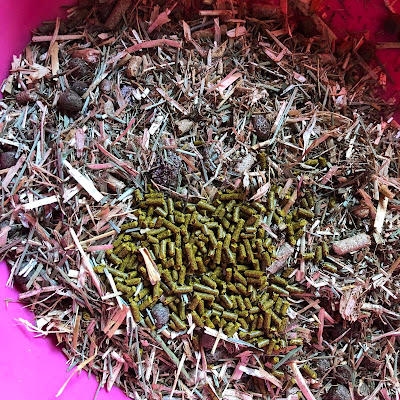 The turmeric pellets smell delicious and are a blend of turmeric powder, linseed oil, black pepper, apple cider vinegar and yucca, a palatable blend even for fussy eater Oscar who continues to lick his feed bowl clean with one small scoop of the pellets added to his daily ration. The ingredients are specifically targeted to support healthy joints whilst promoting well-being and general good health. We're now on our third tub and after the concrete like ground conditions as of late I credit Oscar's wellness this summer to the TurmerAid. The 3D Mesh Air Pro Grip saddle pad is a marriage of LeMieux's lightweight foam fabric and their unique Pro Grip technology. 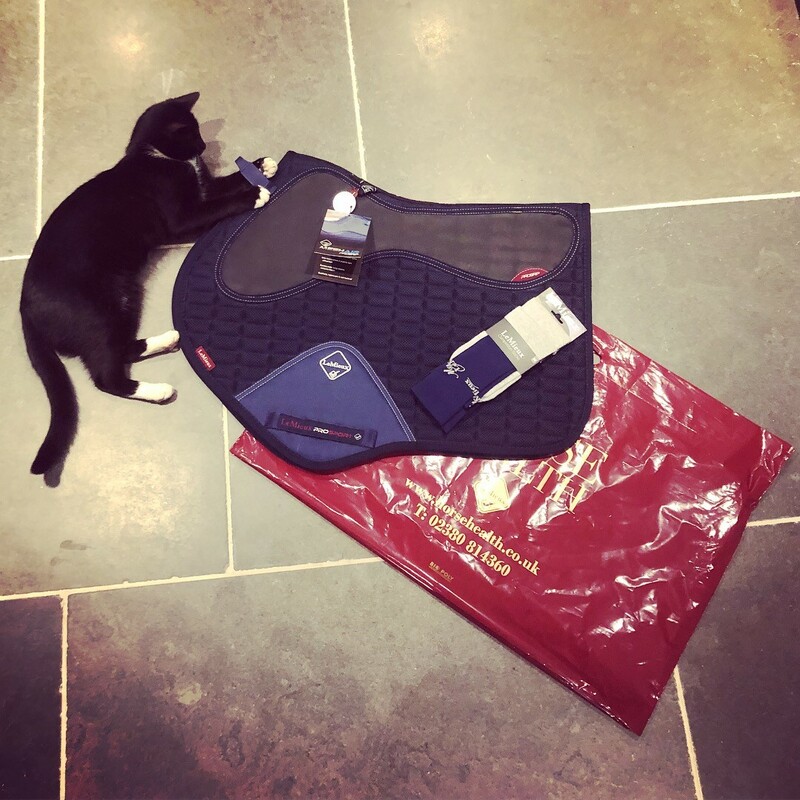 The innovative design results in an extremely breathable, stylish and secure saddle pad. Including all of the trademark features we know and love from Lemieux; the underside is lined with beautifully soft bamboo for its natural wicking properties. The velcro D ring tabs are the perfect length, the girth loops fit both double and mono-flap saddles with a reinforced area to protect against the wear and tear of stirrups and boots. 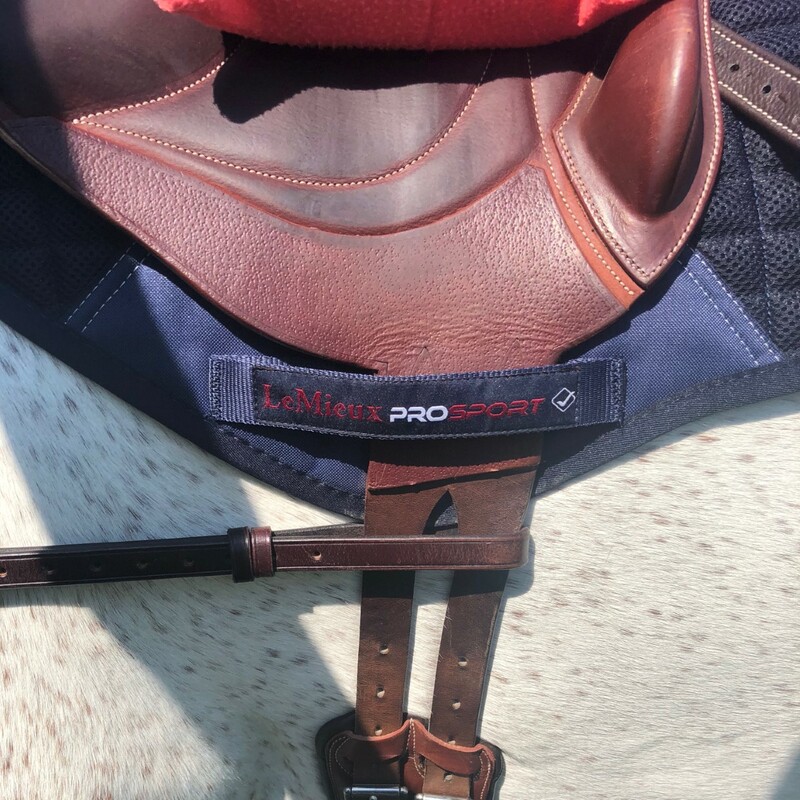 The Pro Grip panels sit either side of the saddle pads spine, in line with where the seat of the saddle rests. The panels are soft to touch, flexible and slim enough not to alter the fit of a saddle. 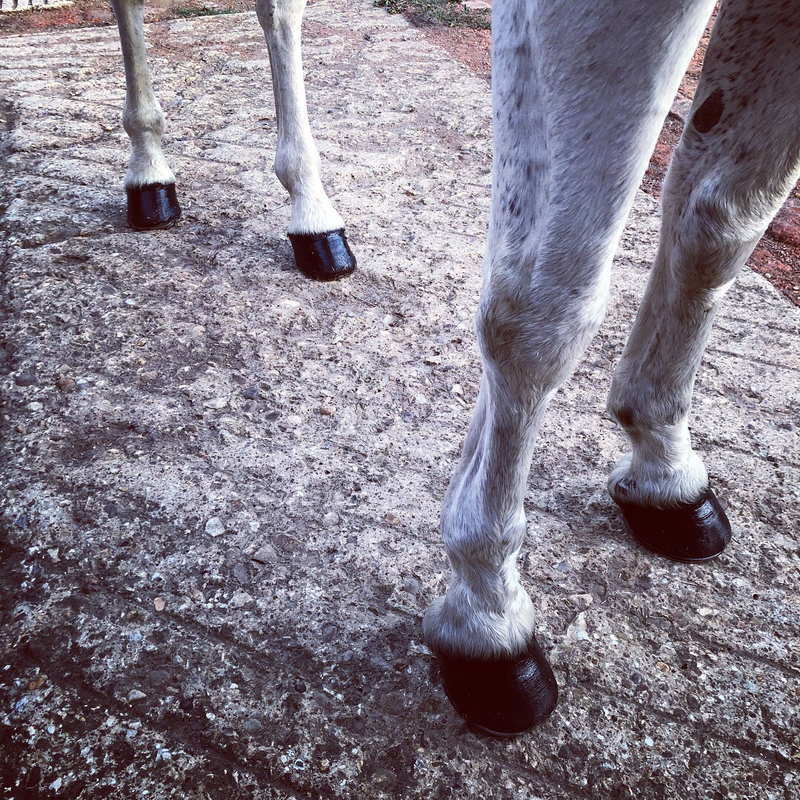 Yet are enough to reduce movement, alleviate pressure points and aid shock absorption. Horse Health always recommend washing their saddle pads before the first wear to soften the fabric and reduce the risk of any rubs, as everything does in the LeMieux Collection it washed beautifully. 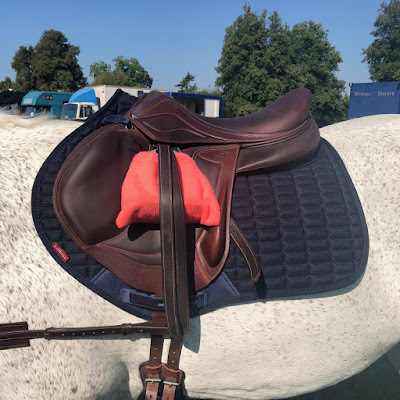 Since Badminton I have ridden in the 3D Mesh Aid Pro Grip saddle pad in 30+ temperatures. 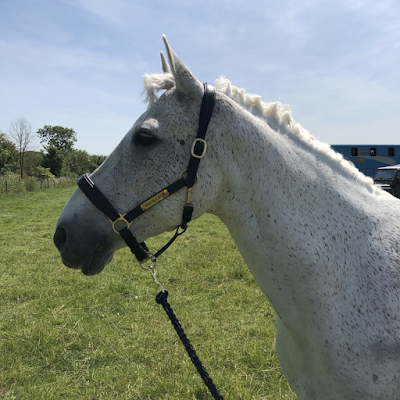 I have hacked, jumped, been to the gallops, travelled tacked up and even ridden around Burghley Horse Trials 4* XC course - yes, literally around the jumps - and on the hottest of days Oscar has remained dry, happy and comfortable. As the season changes, it will be a great pad to continue using that will make my life easier so that after a fast ride I can rug up and turn out a dry horse, reducing the risk of them catching a chill. The range comes in CC/jump fit, half pad design and a dressage square all costing £57.95. Colours available: white, black, brown and navy. Oscar wears the CC/Jump in navy and size large - click here to buy. Caroline Towning is a London based contemporary equine artist, who many of us will relate to because she has been drawing horses ever since she was old enough to hold a pencil. Caroline was also taught to ride before she could even talk and has a deep love and affection towards these spectacular animals. Spending many hours in their stables and sat alongside them out to pasture, studying their beauty and making sketches. 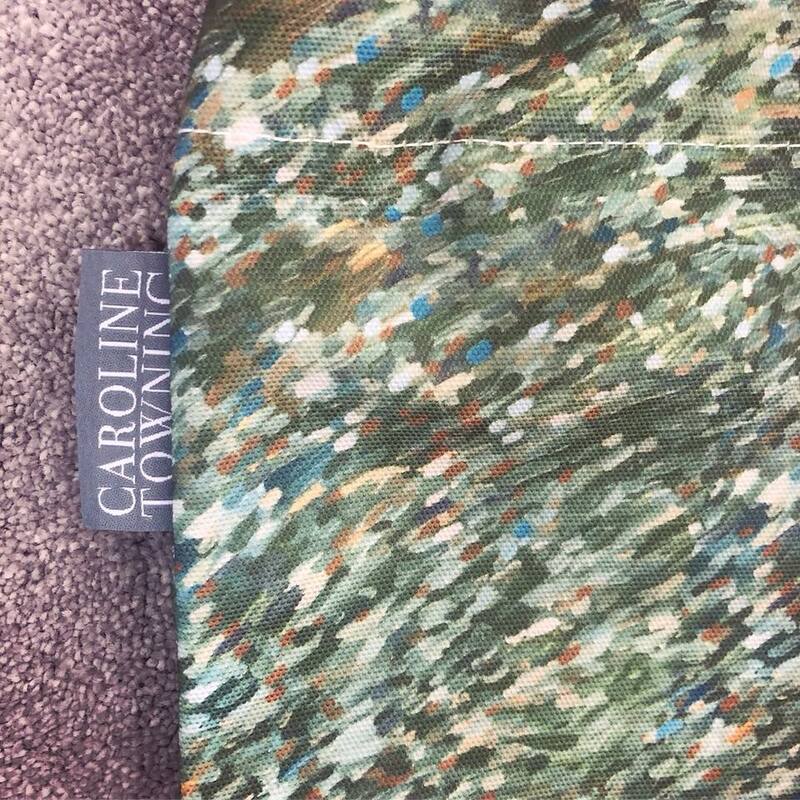 For me this affinity is clear to see in Caroline's breathtaking artwork. ...I have the White Horse Tote Bag. The tote is versatile, strong and a great size measuring 50 x 47cm with a 38cm handle and can be used for the grocery shopping, grooming kit and carrying competition essentials...or as mine did this weekend the picnic and prosecco at Burghley Horse Trials, where it got so much attention (the tote, not my picnic)! 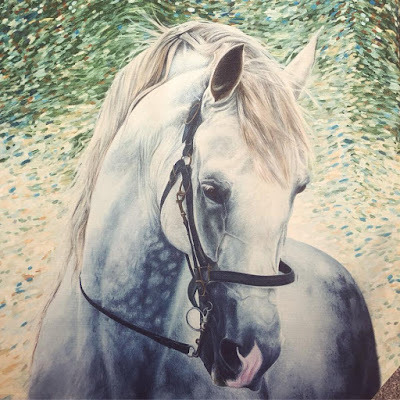 Enter Caroline Towning's wonderful website here to view the totes in three iconic prints of Caroline's work, they cost £35.00 with worldwide delivery available and make the perfect present to yourself, or any horse lover.